Up to 10 meg / 10 meg uplink Internet service available. 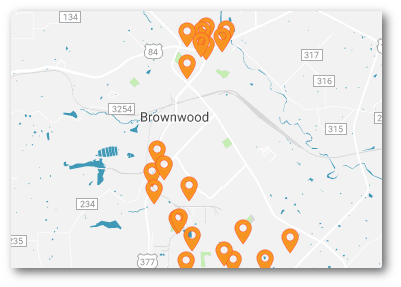 There are 17 business internet service providers in Brownwood. Visit www.findbroadband.com, enter your address to see which have coverage at your specific location. Find the best rates from the most popular providers, all in one convenient place.